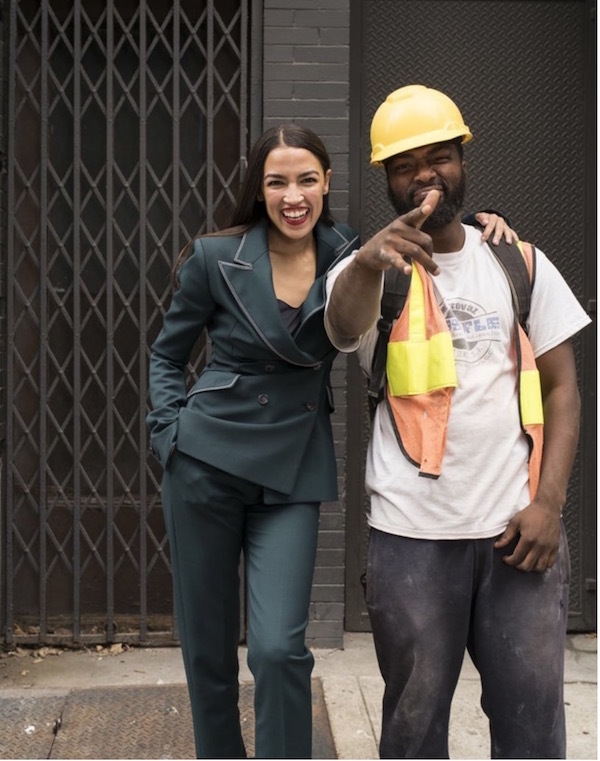 ClashQuiz: Guess How MUCH Socialist Ocasio-Cortez’ Outfit Cost – $49? $180? $3,500? The hypocrisy is really thick. If NYT weren’t so busy reporting misleading stories about Nikki Haley’s curtains, maybe they would pick up on the hypocrisy of the budding Democrat Socialist Superstar, Alexandria Ocasio-Cortez. The New York Times, with their usual smug satisfaction, thought they’d scored with a ‘gotcha’ story implicating our take-no-prisoners Ambassador to the UN, Nikki Haley. We’ll have more to say about that at the end of this piece, but the takeaway from their article is that its fair game to judge a person’s character by their personal excesses. 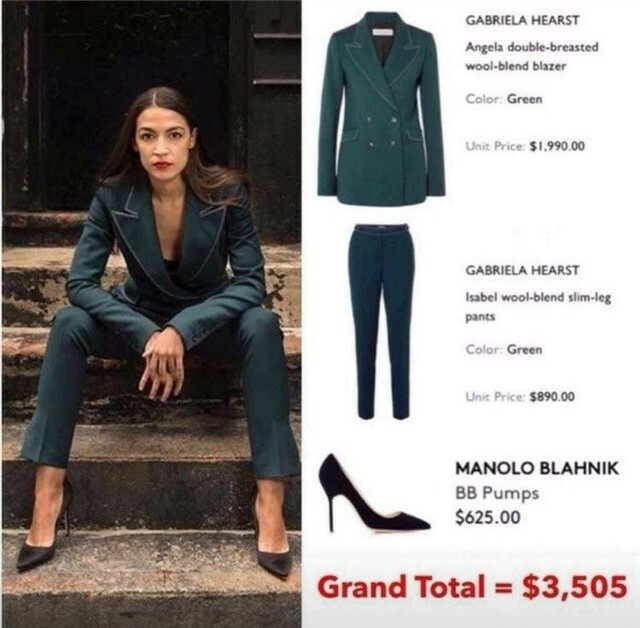 The outfit Ocasio-Cortez is sporting costs a mere $3500 dollars. What, you may ask, is the average salary of a construction worker? It isn’t clear whether those dollars are before or after taxes. Likely before taxes. If you split 43K 12 ways, that number comes out to $3609 a month — total pay. That’s an AVERAGE salary, remember. Some will be higher, but some will also be lower. And her outfit for this SINGLE PHOTO shoot costs basically one month’s total salary. Isn’t that ‘defender of the little guy’ schtick just a little too ‘rich’? Not so long ago, she was slinging drinks at a bar. Now she’s dressed to the nines. Tell us more about how your socialism will help the little guy. 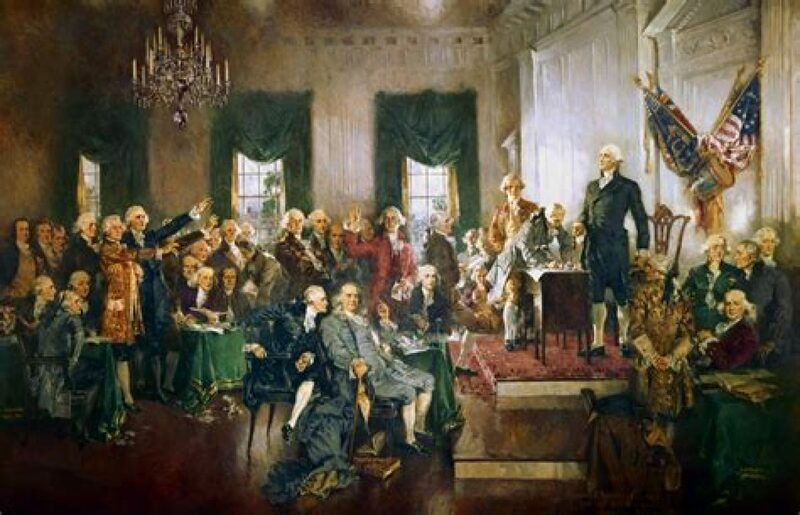 Don’t forget to cite that Orwellian line about some people being more equal than others. Compare and contrast what you read above to that already-discredited Nikki Haley piece in the NYT. Fifty-two large is a lot of cash to blow on curtains, right? Some would call it a reckless use of taxpayer dollars? And that NYT piece paints her as being indulgent and out-of-touch, doesn’t it? Right up until the moment they were forced to print a retraction.